Let me give you some of my background...I have been working on bows for 15+ years. I was the manager of a large archery store in Upstate SC for 8 years. We the majority of major bow brands at one time or another. We had an indoor range and indoor digital DART archery system. Our store was over 7500 SF. In 2001-2003 we broke a sales record for Mathews in the southeast, and also ordered over $100k+ of PSE equipment per year. During that time I tuned and worked on every brand of bow known to man, made strings, sold new bows, gave archery classes, and worked on hundreds upon hundreds of bows each year. I accomplished the shooter of the year title in SC for 2003, and shot all over the southeast in the early to mid 2000's. I have been certified as a level II NAA archery coach and attended many dealer/shooting schools. The shop closed in 2008 due to the owner's divorce and I have been tuning bows in my own 1600 SF shop since then. 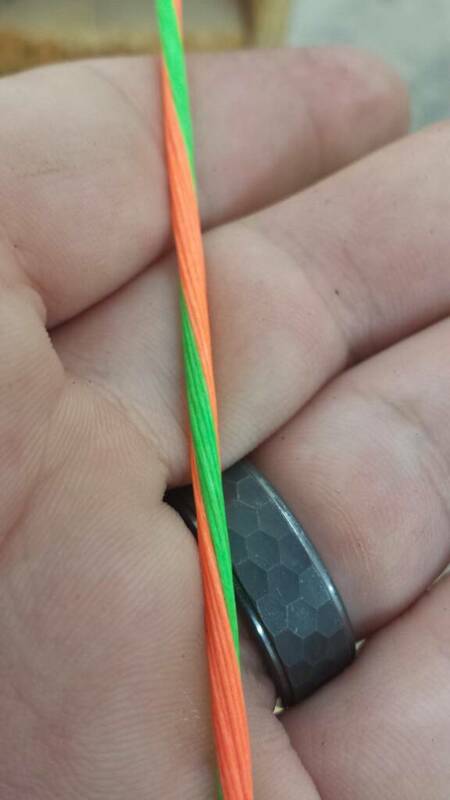 Our strings are stretched to 350# for a specified time to remove all creep, then twisted under tension. The string is left under tension and served with BCY Halo end serving and Angel Majesty center serving. The center serving is determined by correct nock fit for your particular string and arrow setup. The strings are left to rest after serving with no tension to recover from the stretch. Once the recovery period is over the strings are set to correct length under 100# of tension and a zip tie is placed through the loops before shipping to ensure they don't untwist in the package. We can make any specialty set of strings you would like at a great price! Our premier material is BCY X, BCY Trophy, BCY 8190f, and Brownell Fury which are the top of the line materials available. Trophy is 452x blended with GORE fiber for more durability and less fuzz. BCY X is a newer blend proving to be the best material yet, with no creep and no fuzz after many shots. Brownell Fury and BCY 8190f are smaller diameter materials which are super stable due to using more strand count. In my experience X, Fury, 8190f, and Trophy are extremely stable and my top picks for material we use. BCY Dynaflight 97/8125 is an older blend used on many mainline bows today and is a very popular material usedon factory sets. Dynaflight 97/8125 has a small amount of creep but is great for the price it comes at. Our “El Cheapo” sets do not have wrapped loops and are made of BCY dynaflight 97/8125. I have had awesome results with all of our string products and I know no matter which material you chose you will be happy with the result. We recommend occasionally applying wax to keep your string in great shape. Our WARRANTY is a 6 month no creep/serving separation warranty on BCY Trophy, X, 8190f, and Brownell Fury. 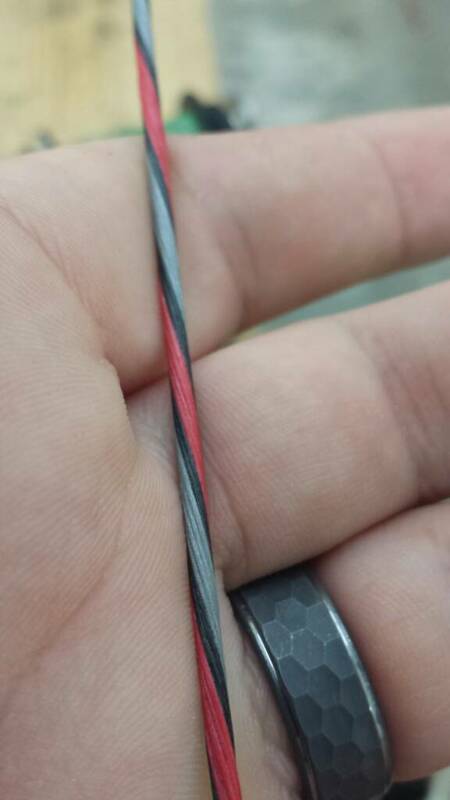 If there are any issues I will quickly replace any affected string/cable. We try our best to avoid any mistakes, but if there are any I am happy to replace and/or fix the issue immediately. I just ask that you return the string/cable with the original receipt/packing slip for replacement. BCY Dynaflight 97/8125 el cheapo sets do not have a warranty. We also offer recurve strings, Oneida strings with double served end loops, crossbow strings/cables, single bowstrings or cables, and loop material. 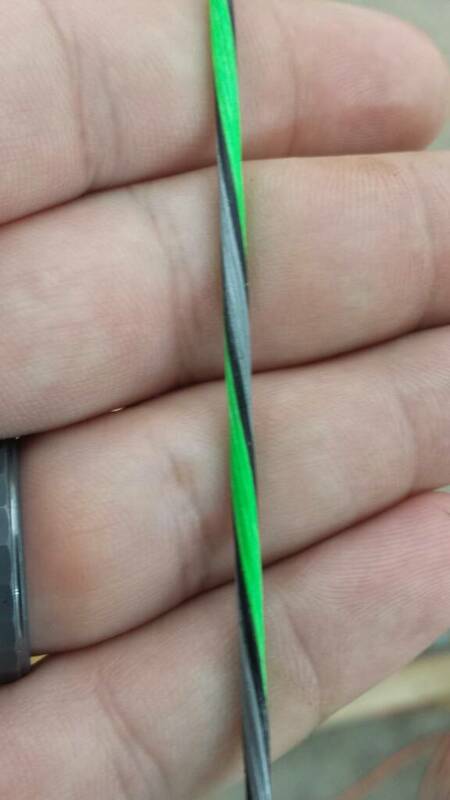 See our website archeryshackstrings.com for pricing and options. I have experience tuning almost every make of bow, and I take my time to make sure each one is tuned to optimum performance before returning it to its owner. 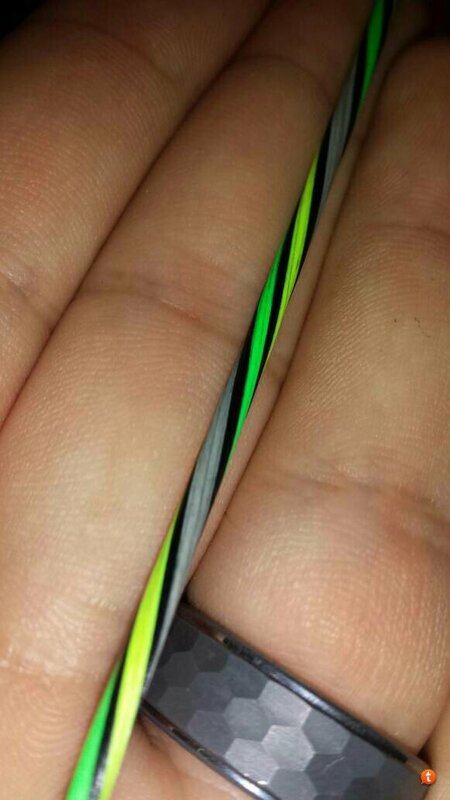 Upon receiving your bow I make new strings/cables for it in the color you specify from BCY or Brownell materials. 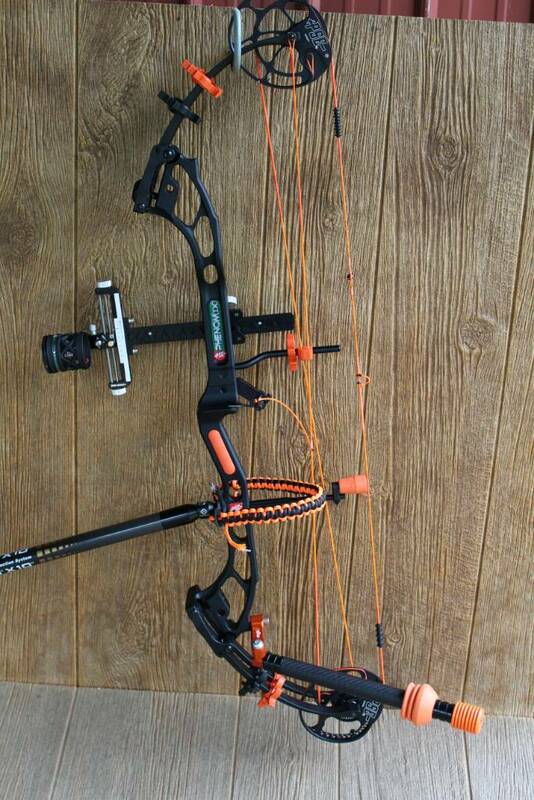 I install the new strings/cables and get the cam(s) rotated to the manufacturer's recommendation and to the best position for performance of your particular bow. I have a bow drawing machine I use to get the cams synced and make sure the yoke(s) are tuned with our laser system. I set the arrow rest and loop for best performance and arrow flight. The peep sight is re-tied to its original position. The bow is paper tuned, chronographed, and tuned with other methods I feel needed based on the bow. It is recommended you send a few fletched arrows and at least one bareshaft so I may bare shaft tune the bow as well as shoot it at long distance for my walkback tune. The bow will be packaged up and sent back to you via USPS and ready for you to shoot! Email me for our tuning prices and I will send a Paypal invoice for your particular setup. Re-strings and tunes typically run around $125 + shipping. Locally, other dealers in my area are charging upwards of $175 just for a restring and peep/loop install with NO tune. We offer crossbow tuning services. When sending in your crossbow for a tune we restring it, get the cams rotated properly, set cam lean at cocked position, check/set cam sync at full draw, mark the string to ensure you pull the string back "square", and chronograph it. We have arrow specials starting at $5/each for Easton Powerflight arrows with Blazers. Our custom sets start at $40/6 for Powerflights with custom wraps and Blazer vanes. New for 2015-2016 we are spine indexing our arrows using our arrow spine machine. I can customize any arrow and ship it to you from any manufacturer and have many in stock, just check out our website or PM me for pricing. We also offer refletching services starting at $3/arrow. Just ship us your arrows and let us do the rest! Shipping usually costs $3-$6 both ways. For wraps we can customize them with your name, photo or logo and also have many custom wraps in stock. We offer wrist slings in any color and you can order via archeryshackstrings.com. 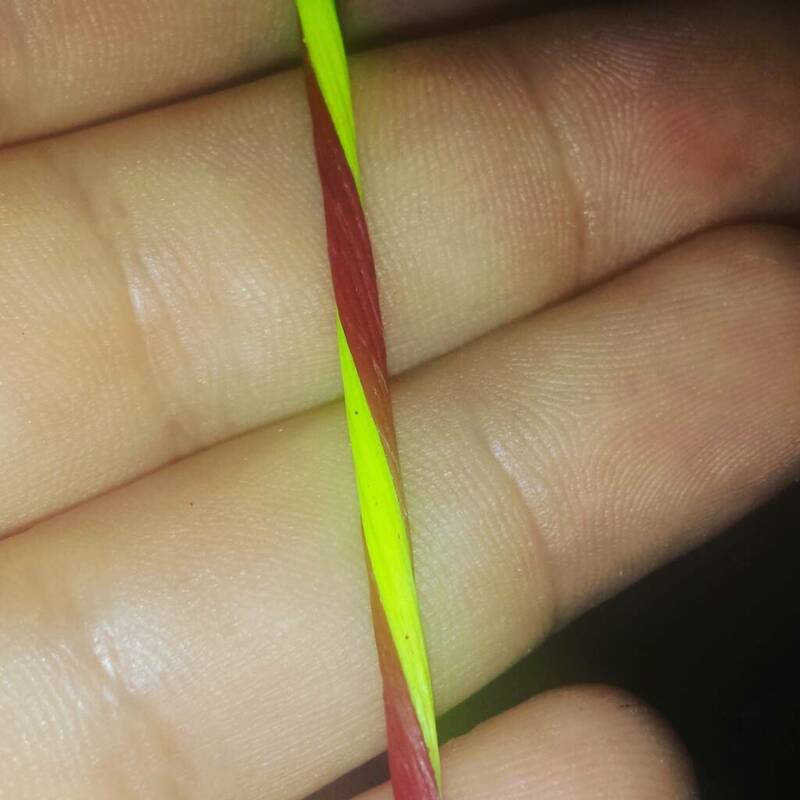 We can make them to match your bowstring, favorite sports team, or underwear. When ordering just add the colors wanted in the detail section. All slings include a leather yoke to mount them beneath the stabilizer. PLEASE add all order details to the order info box when ordering to help me keep track of your order and shipping info. For strings please include lengths, colors, manufacturer, model and your forum username if possible. 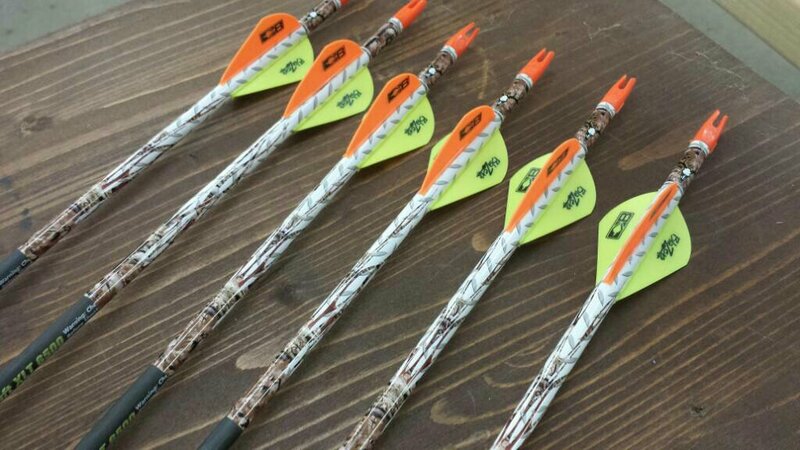 For arrows I need the length from the inside groove of the nock to insert for cutting, color choices for fletching and wraps, and sizing for arrow spine. All strings and arrows will be shipped via USPS and all bow tunes will be shipped via UPS or USPS. Tracking info will be emailed to the email address provided when the item ships. We are not responsible for orders lost by USPS/UPS, you must file a claim with them if the item is “lost". The easiest way is to visit archeryshackstrings.com then browse around to see pricing, options, and look our inventory. If you have questions send me a PM, email me at [email protected], or call 864-735-8484. We also have a text line open during business hours 843-560-9898. If the shop line is busy please try again, we only have one line at this time. Ship time can vary from 2 days to a few weeks depending on order volume and time of year, just check the website home page ship time before ordering. We can also make arrangements if you need a rush order. I also teach surgical technology at a local college two days a week so I may be unavailable for a few hours during a weekday. I can usually answer email/PM/Text during all hours. Please be careful when opening the package, it is easy to damage strings if using a sharp object.